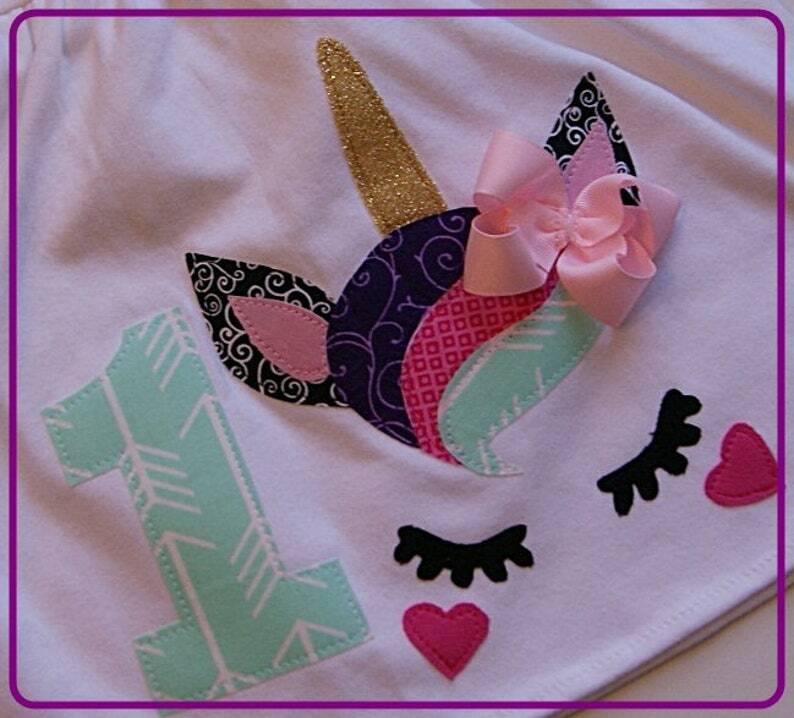 Our adorable New Unicorn Birthday dress is designed to please. Every fabric color was carefully chosen by Gina and put together with love. Whether she is turning 1 or 8 she will love her new dress and so will you! Our dresses are soft, 100% cotton and designed to last. You also have the option of leaving the birthday number off, just request so during checkout. Cotton dresses run TTS. 100% cotton, fine Monag brand dresses. The big kid dresses come in combination sizes and the tags on them only have EVEN sizes. Shoulder to Sleeves Hem - 11.5"
Shoulder to Dress Hem - 17.5"
Shoulder to Sleeves Hem - 12"
Shoulder to Dress Hem - 19.5"
Shoulder to Sleeves Hem - 13.5"
Shoulder to Dress Hem - 21.5"
Shoulder to Sleeves Hem - 14.5"
Shoulder to Dress Hem - 24"
Shoulder to Sleeves Hem - 16"
Shoulder to Dress Hem - 27"
Shoulder to Sleeves Hem - 17.5"
Shoulder to Dress Hem - 29"